Permit me to let you in on a little secret—most firms have no idea how to manage their IT applications vendors. In turn, this means they are managing you. By the way, this is a bad thing. The best way I have found to understand this problem is to liken what IT vendors tell you to what magicians tell their audience. Bear with me. If you have ever attended a magic show or watched one on television you will note that the best magicians tell you prior to their performance that they are going to lie to you. 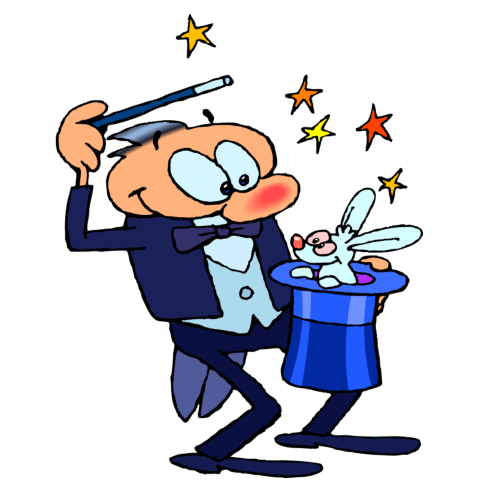 In order for a magician’s performance to work on you any magician has to get you to suspend your belief. A magician tells the audience that everything else you are about to hear and see is a lie. And then they tell you they are going to cut someone in half, they do it, and your eyes are so amazed that somehow your brain forgets the bit about being lied to, about being led down a path of suspending your beliefs. The difference between magicians and IT vendors is that IT vendors forget to mention at the outset—or at any other time—that not everything they tell you is true. Things like what their system will cost, what it will do and how long it will take. And because they do not tell you they are lying, once you have suspended your belief, you forget to unsuspend it. Hence, you are caught up in their fantasy world and you foolishly believe what they tell you. For the most part, IT vendors are not the people you want next to you in the EHR, ERP, or any IT foxhole. In the dog-eat-lemming world of IT, never forget that the term ‘partner’ is an oxymoron. IT is a business and the goal of every business is to maximize profits. The best ways to maximize profits are to reduce costs and to increase revenues. The only way to do so is for vendors to increase your costs. Keep your eyes and ears open the next time your vendor offers to cut someone in half. Posted in informatics, PMO, Rants & Musings, Strategy, Vendors-What's not to like?, Who's Running the Show? PolicyMedical pride ourselves in prioritizing the best interests of our clients (in fact, a good part of our business comes from referrals given by our existing client base). We do this is by creating software that makes compliance and patient safety easier to attain. Rather than using our software development team to create visually appealing features that glisten and gloss over the meat of the technology, we focus purely on functionality (and easy-to-use ones at that!). What I’m trying to say is that, even though the majority of vendors probably do not have their priorities as well-aligned with yours as your own team does, but be wary of which vendors sit where along the spectrum.